one of this Summer’s projects was a natural building weekend with students from berlin. diana, a good friend of mine, who is a tutor in the permakultur werkstatt, organized this weekend for her students. we built an outdoor kitchen with two rocket stoves, a wooden work shelf and a cob bench! 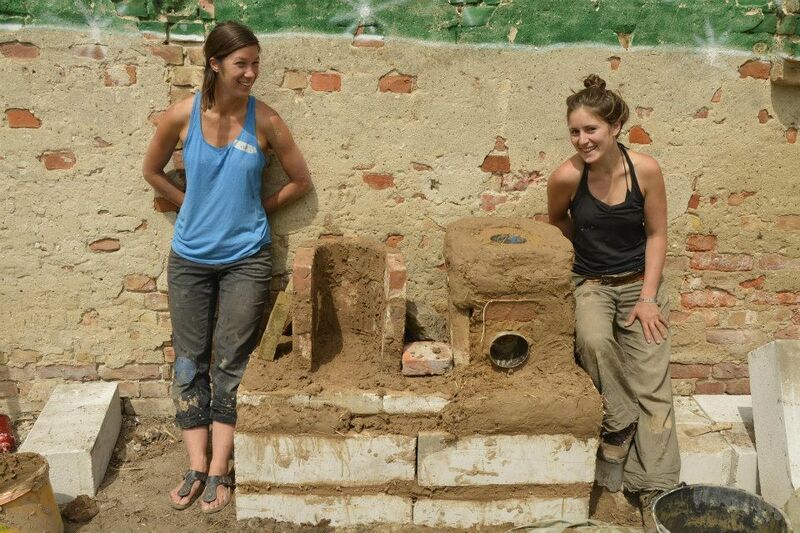 on the picture you see the rocket stove in progress!